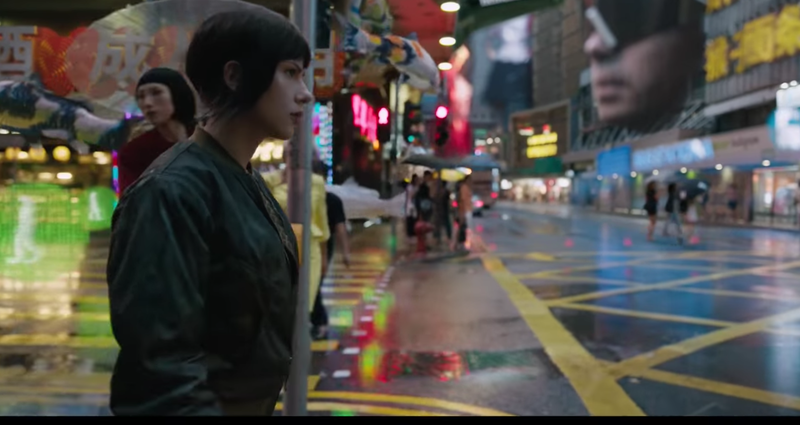 On March 31, the movie Ghost in the Shell was released in theaters throughout the United States. The movie is based off of a Japanese franchise published as manga, a Japanese comic book or graphic novel. Starring Scarlett Johansson, the movie is riddled with the problem of whitewashing – an issue not uncommon in Hollywood. In the movie, minor roles were cast to people of Asian descent while all of the main roles were given to white actors and actresses, despite the fact that those major roles were originally written as Japanese characters. This seemingly inconsequential swap of culture gives the impression that, no matter the quality of acting, casting notable white leads brings more attention to the production. This level of whitewashing may cause people who relate to non-white ethnicities being ignored to feel dismissible. One film in 2015 titled Aloha portrayed Emma Stone as half-Asian, causing the movie to fail in the box office. Casting an Asian actress to portray the lead in these movies would have avoided social backlash and would have promoted diversity and equality within Hollywood. Women are not the only ones affected by Hollywood whitewashing. In the 2010 live-action remake of Avatar: The Last Airbender, the lead males were all cast as white when they are supposed to be representing characters of Native American and Asian ancestry. Hollywood has been whitewashing casts for decades. In the 20th century, it was a much heavier problem. In a 1965 adaptation of Othello, Laurence Olivier had his face painted black in order to fit into the role of Othello. In addition, a 1988 movie called Short Circuit 2 cast a white man to play in Indian role, even going as far as to have him attempt a stereotypical accent. The industry’s failure to depict diversity culminated in a viral social media campaign last year; #OscarsSoWhite became the unofficial theme of the 2016 Academy Awards. #OscarsSoWhite was the community’s outraged response to the Academy’s nomination of exclusively white actors and actresses in the top four award categories for two straight years, despite tremendous performances by non-white actors in films like Beasts of No Nation, Creed, Straight Outta Compton, Dope, and The Hateful Eight. Seeing how little progress Hollywood has made since the 20th century is shameful. Despite all this, there have been several more recent successes in Hollywood using appropriate castings. In 1993, the novel The Joy Luck Club, which tells the life stories of four Asian women and their daughters, was recreated as a movie appropriately casted with Asian actresses. Another example is the 2016 blockbuster Hidden Figures, which tells the story of the female African-American mathematicians that helped make NASA successful. Hidden Figures has made a total of $223.5 million in the box office so far, and was nominated for multiple Oscars. These successes show that appropriate casting not only authenticates a story, but also can bring financial gain and reputability to the producers and actors/actresses involved. While progress is being made, Hollywood still remains a white industry. More effort needs to be made in casting diverse actors and actresses as lead roles in films in order to reach the social ideals of acceptance and self-confidence Hollywood tries so hard to preach. Sara Lattman can be reached at sara.lattman@spartans.ut.edu.